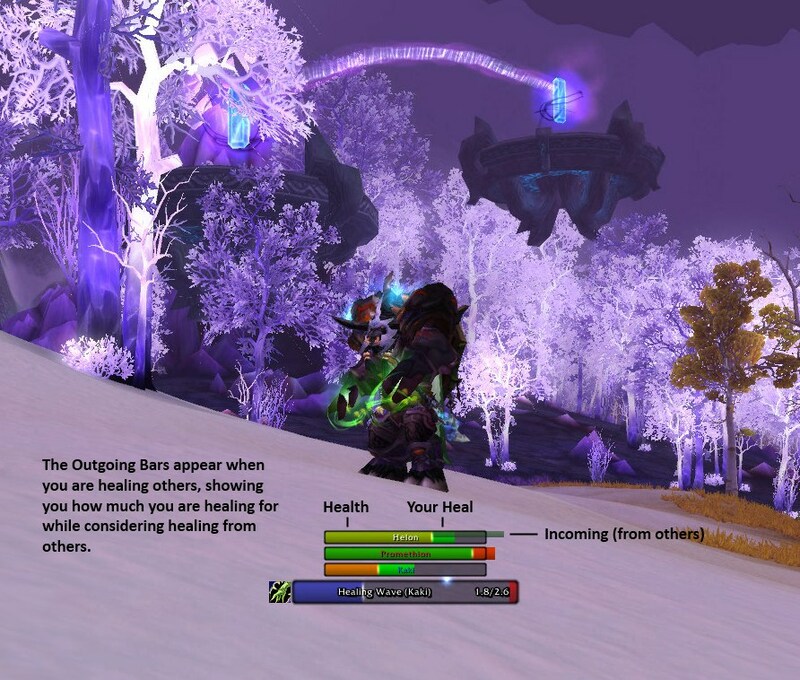 Use different incoming heal color for incoming and outgoing to improve visibility. Implement enable/disable functionality for the different bar types. Change the default appearance setting to make it require less screen space to heal many targets.